Cryptocurrency Tax Experts with Extensive Unparallelled Blockchain Accounting Experience. From ICO‘s and STO’s to SAFT’s to Mining, Staking, Airdrops, Hard Forks, & Masternodes, We Have You Covered. When the IRS issues a warning, it’s important to sit up and take notice! This year, the IRS put out a press release specifically regarding Bitcoin tax and other cryptocurrency taxes. 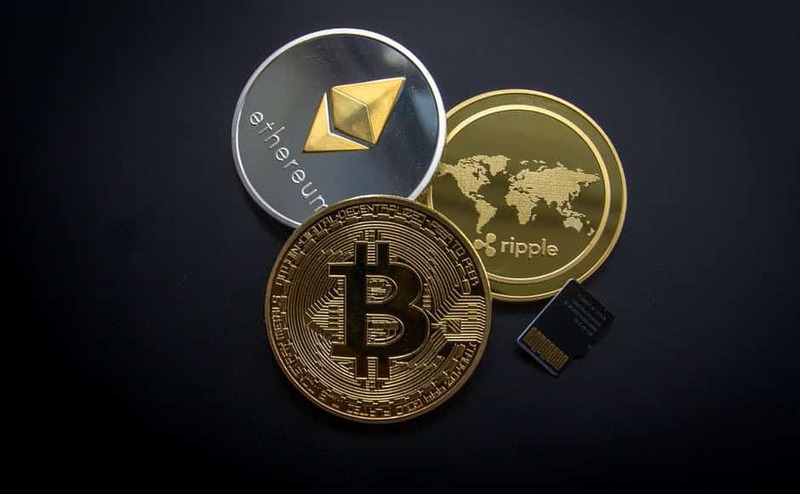 The federal government treats virtual currency as property, which means that taxpayers who do not correctly report their virtual currency transactions can be audited for those transactions and, when appropriate, be held liable for penalties and interest. In IR-2018-71 the IRS noted that “taxpayers could be subject to criminal prosecution for failing to properly report the income tax consequences of virtual currency transactions”. In short, this means it’s time to get serious about Bitcoin taxes! The regulation of Bitcoin taxes and other cryptocurrency taxes has raised questions for many taxpayers. In previous years, very few people have reported their cryptocurrency holdings, gains, and losses. In fact, in 2015, only 802 people reported cryptocurrency on their returns! To put this number in perspective, the popular cryptocurrency exchange, Coinbase, now has over 13 million unique users. Although digital currency is popular across the world, there is still a shockingly low rate of reporting for United States taxpayers. For years, owners of cryptocurrencies like Bitcoin have avoided taxation. Cryptocurrencies are not taxed immediately at the time of acquisition or transaction, so the IRS, therefore, expects that individuals will report and pay taxes at a later date. After the meteoric rise in Bitcoin value in 2017, the IRS took a particular interest in the tax revenue that could be earned from enforcing cryptocurrency tax laws. So what are the crypto tax regulations on capital gains and losses? The biggest issue is the breadth of the information you must have in order to properly report each transaction. If your recordkeeping for each trade has been less than thorough, it can feel nearly impossible to file an accurate return. In addition to the date you bought the cryptocurrency, you will need to know the amount you paid in USD. Even if you were exchanging one cryptocurrency for another, the cost of the purchase must be reported in the dollar value at the time of the transaction. Given the constant market fluctuations, this value is rarely static. Furthermore, you will need to report the date that you sold the coins and how much you received for them. Unfortunately, many cryptocurrency holders cannot retrieve this information from their exchanges and will need to research each transaction individually. Josh has been a godsend for me. I was really struggling to find a competent CPA in the Crypto space that knew all the rules and regulations. I was calling CPAs across the entire country and all of them were pretty much clueless. I found Josh’s info on a tip from a crypto info site and gave him a call expecting the same runaround and cluelessness from every other accountant. Much to my surprise, he knew EVERYTHING that was necessary to help me move forward and protect myself in regards to my capital gains and how to manage my assets. Every time we speak he is constantly up to date with all the new rules and regulations that I have questions on and it’s a great help. I don’t see myself using anyone else in the future thanks to Josh. Found my CPA for the next 30+ years. Thanks again to Josh and everyone at Azran for being there for me every step of the way! Are you wondering if you really need to pay Bitcoin taxes or another cryptocurrency taxes, especially if you only made a very small profit? We believe it’s better to be safe than sorry! Although the chances of an audit may be slim for extremely small amounts, the IRS has made it clear that it is serious about crypto tax. In the simplest terms, if you sold Bitcoin, it is now considered a capital gain or loss. If you sold the Bitcoin for a profit, it is a capital gain. In this case, you will likely owe the government money. If you sold the Bitcoin at a loss, it is a capital loss. In this case, you will be eligible for a deduction. This may be the only scenario where you do not need to report your purchase with the IRS. If you purchased Bitcoin and then maintained that holding, you will not owe Bitcoin taxes on the transaction or the currency itself. The exact tax status of the payment will influence the forms you need to file. If you paid an established employee, this falls under the scope of a W-2. On the other hand, if your business employed a contractor and paid in cryptocurrency, you must issue a 1099. Unsurprisingly, you must report this on your return. According to current crypto tax regulations, you are obligated to treat your crypto income exactly as you would with regular income. As with fiat currency, your federal tax rate will then vary based upon income bracket. As the gifter of cryptocurrency, gift tax rules apply and gift tax returns may need to be filed. Significant tax planning opportunities exist around gifting cryptocurrency. As the donor of cryptocurrency, you may be eligible for a tax deduction due to your charitable giving of donations. Who Needs Cryptocurrency Tax Planning? If you’ve made a profit through the use of cryptocurrency, you may find yourself wondering: do I need to pay any taxes on Bitcoin and other e-currencies? Until recently, the classification of income made from e-currency has been confusing for many people. Should you declare the gains as income or capital gains? If you’re facing similar questions, consider speaking with a Bitcoin accountant. Did you know that Bitcoin transferred as payment for goods and services will be subject to Bitcoin income tax? If your employer pays you using e-currency, you or your Bitcoin accountant must report those earnings on your W-2 forms. Furthermore, the value of the cryptocurrency is reported as the equivalent US dollar amount at the time of the transfer. Cryptocurrency earnings are also subject to wage withholdings. In addition to bitcoin income tax, your e-currency is also a capital asset. Due to the capital asset classification, e-currency will be taxed as property. Additionally, the government views your cryptocurrency as an investment. In addition to bitcoin income tax and other cryptocurrency tax services, Azran Financial provides tax planning and compliance work for traditional forms of income. What kind of cryptocurrencies, tokens, and exchanges do you support? Our crypto tax services encompass a variety of e-currency types. For example, we handle cryptocurrency taxes for: Bitcoin, Litecoin, Ethereum, zCash, Monero, Ripple, Steem, NEO, and IOTA. We can work with any other altcoins you may own. We support all exchanges. Which Cryptocurrency Tax Softwares do you Support / Recommend? We support a wide variety of crypto tax software. The below is not an inclusive list. Your needs and our recommendations will vary based upon your trading style and usage. Can you rely on Crypto tax software? It’s hard enough to calculate crypto taxes, and it’s important to realize that software has limitations. Many programs offer the ability to report your capital gains; however, they do not provide a full explanation of your crypto tax liability. Most crypto tax softwares are not complete solutions and are not without errors. A certified public accountant that specializes in cryptocurrency is much better qualified to assess your liability and ensure an accurate tax calculation. While software alone can seem like a tempting alternative, it will not be the best choice. Do I need to report mining income? Yes. You must report mined virtual currency as gross income. Bitcoin taxes are calculated using the fair market dollar value of the coin on the day it was mined. How do you treat Bitcoin used to pay for goods and services? The IRS has stated that a taxpayer who receives virtual currency as payment for goods or services must, in computing gross income, include the fair market value of the virtual currency, measured in U.S. dollars, as of the date that the virtual currency was received. See Publication 525, Taxable and Nontaxable Income, for more information on miscellaneous income from exchanges involving property or services. Like many areas of Cryptocurrency taxation, there is currently no clear guidance regarding the taxation of Hard Forks and Airdrops. Both the American Institute of CPA’s (AICPA) and the American Bar Association (ABA) are both requesting that the IRS create a safe harbor until such guidance is issued. They are additionally proposing a set of rules for all Americans investing in cryptocurrency to follow. 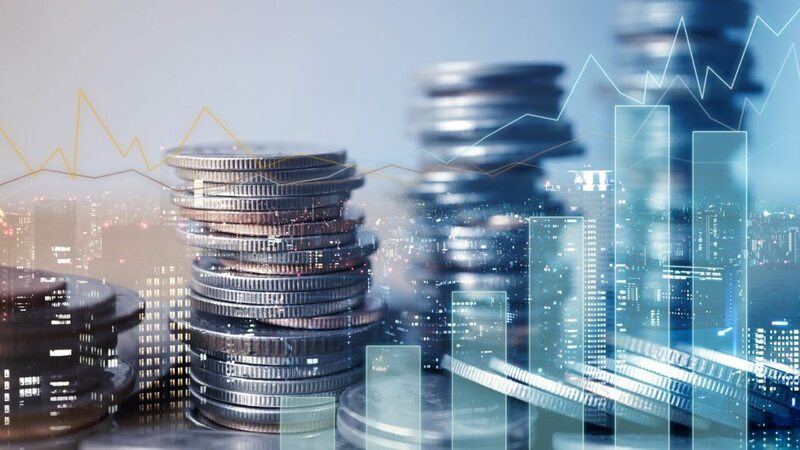 In the absence of clarity, some cryptocurrency accountants believe that there may be no taxable transaction until the cryptocurrency received in the Hard Fork is sold. At that time, a gain or loss is calculated (proceeds from sale less cost basis), which in this case may be zero. We acknowledge that the temporary treatment may result in capital gain as opposed to ordinary income treatment (assuming the cryptocurrency is held as a capital asset), but by assigning a zero value, it preserves tax on the full value of the forked currency for taxation when the taxpayer sells it. Virtual currencies received from airdrops are akin to a bonus or a free prize. Taxpayers should include the amount as ordinary income based on the fair value of the token on the date of receipt. The income recognized becomes the basis in the virtual currency. The holding period begins on the date of distribution and is the first day of the holding period. How am I taxed on Cryptocurrency Mining? Successfully mining cryptocurrency triggers a taxable event. From there, there are two main tax categories which somewhat coincide with whether you mine cryptocurrency as a hobby or a business. Those who are mining as a business can have deductions and other benefits not available to those who mine as a hobby. In this scenario, one reports earnings from mining as “other income.” One will not be able to deduct expenses as you can if you are categorized as a business. That said, due to the lack of self-employment tax, taxes should be lower with this second option because cryptocurrency mining earnings are listed as “Other Income” on the tax return (i.e. as a hobby and/or additional income stream). In this scenario, one reports earnings from mining on a Schedule C as self-employment income. One will be able to deduct expenses, which they could not do if they were mining as a hobby. Calculating daily revenue can be done through a variety of methods as long as there is consistency. Our team at Azran Financial can assist you in reviewing the options. How do I decide if my cryptocurrency mining is a hobby or a business? Per the IRS website, the distinction between a hobby and a business is a subjective assessment. It is best to speak to an expert to determine the best and most fitting treatment. Overall, if you have a dedicated mining rig and are heavily involved in cryptocurrency mining, then one can assume that they are a business for tax purposes. If the mining is casual on a home PC or existing gaming rig, then one could potentially infer that this was a hobby. Ready for a next-generation Cryptocurrency tax firm?